Sony Computer Entertainment, Inc. (SCEI) is a major video gamecompany specializing in a variety of areas in the video game industry, and is a wholly owned subsidiary and part of the Consumer Products & Services Group of Sony. The company was established on November 16, 1993, in Tokyo, Japan, prior to the launch of the original PlayStation video game system. The logo has been used since 1995. 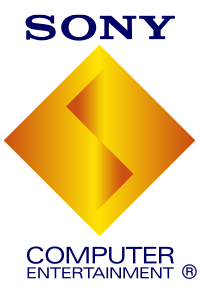 SCE handles the research & development, production, and sales of both hardware and software for the PlayStation line of handheld and home console video game systems. SCE is also a developer and publisher of video game titles and is composed of several subsidiaries covering the company’s biggest markets: North America, Europe, Brazil, Oceania and Asia. The first PlayStation was released in December 1994. Second PlayStation 2 was released in March 2000. later in 2003, Sony has released portable hamd-held console PSP. Sony has released its third stationary PlayStation PS3 in November 2006, and in 2012 it is releasing its new portable hand-held console Vita. Eat Sleep Play – Twisted Metal, Calling All Cars!